When Designers’Press became a division of Sandy Alexander last October, plans called for expanding the longtime operation. 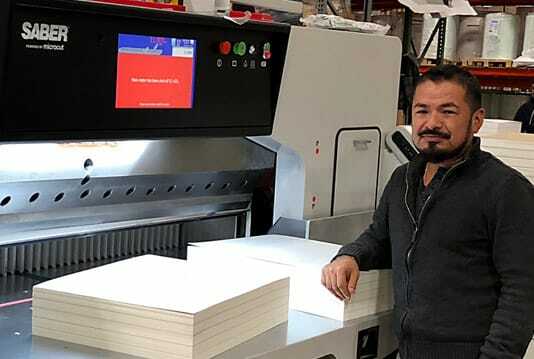 Six months later, the commercial printer is increasing its share of digital and wide format work. Earlier this month, the employees of Team Concept Printing in Carol Stream, IL had good reason to celebrate. Located 30 miles west of Chicago, the shop’s owners marked its 20th anniversary by hosting a company party at the nearby Arcada Theater’s speakeasy. The last year has been particularly rewarding for TCP, hiring more employees and adding equipment to keep up with an increase in business. Fishing in Florida at this time of year is usually very good, and it’s not always limited to the sea. At Graphics of the Americas, held Feb. Growing up in his grandfather’s letterpress shop, Brian Solov has learned a few things during his 30-plus years in the business. Now President of Boston area MicroPrint, he’s still learning. 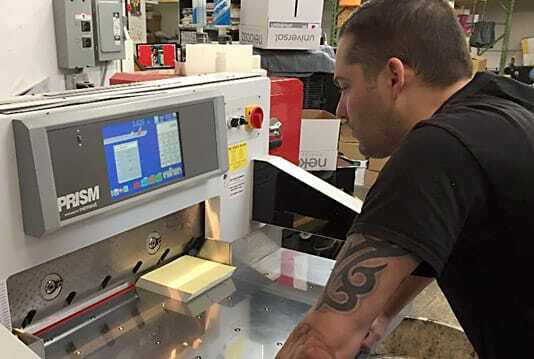 Since having a reconditioned Colter & Peterson 30-inch Polar paper cutter installed the first week of February, Solov’s purchase is producing better than expected productivity gains and other pleasant surprises. 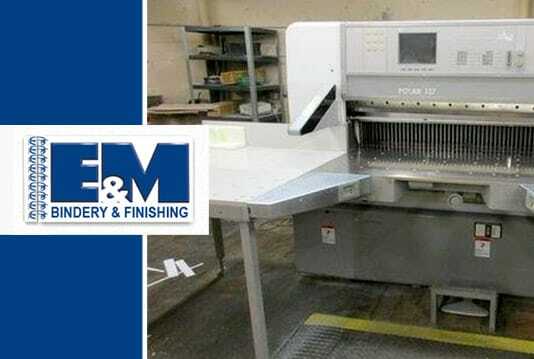 For 56 years, E&M Bindery and Finishing in Clifton, NJ has remained on top as one of the largest and most technically advanced binderies on the East coast. 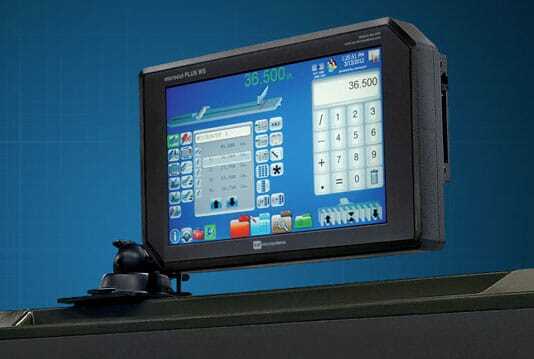 Knowing your customers and having equipment that meets or exceeds their expectations is often a recipe for success. As Microcut/Colter & Peterson has found common ground recently with visitors who have traveled from Mexico, Central and South America, the feeling is this year’s Graphics of the Americas show will result in giving the customer more of what they need. John Miller makes no small plans. 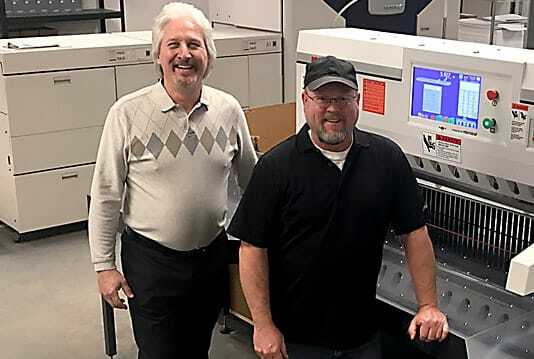 The owner of Mid-States Graphics in suburban Chicago has fostered a busy year, opening new space last month after expanding his Hanover Park location from 45,000 to 70,000 square feet. There is truth to the saying, “Good Things Come in Threes”, especially when it involves the Graphics of the Americas Show. 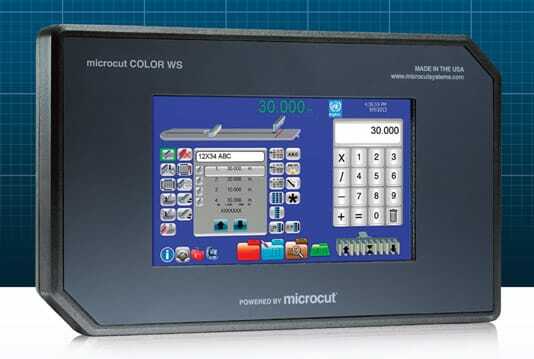 Besides the sand, surf and sun of Florida, Microcut/Colter & Peterson (booth 609) will feature a trio of powerful Microcut® retrofit systems – PLUS XL, COLOR and JR – at the Broward Convention Center in Fort Lauderdale. The show is scheduled for February 22-24. Eight months ago, Colony Packaging & Machine made the biggest decision in its 53-year history by changing its name. 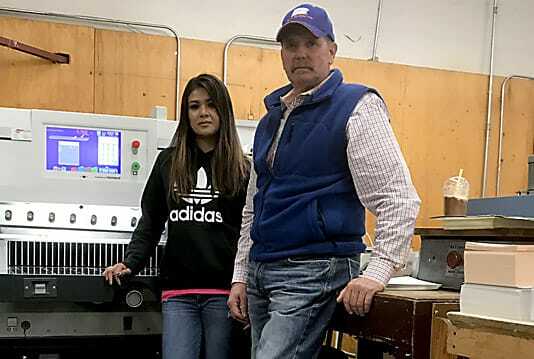 Formerly known as Colony Paper, the new name better reflects how the family owned, third generation-run business has evolved since three war veterans opened the shop in 1964. When a majority of the work you do is for retail customers with products that are sold at department and big box stores, ‘tis the season to be busy. 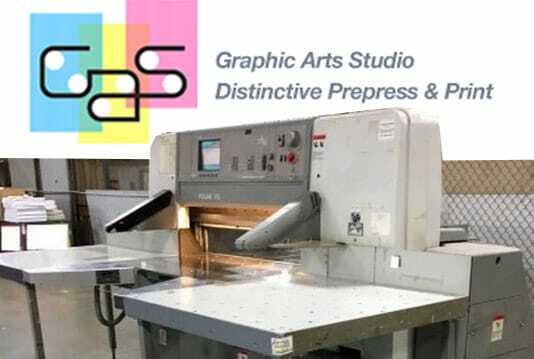 Graphic Arts Studio (www.gasink.net) in northwest suburban Chicago realized they needed to upgrade their finishing department in advance of this year’s holiday season. 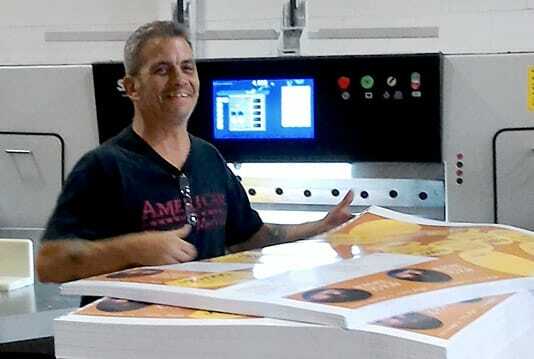 Good things come in small packages, and the staff at Alexander Clark Printing in Boise, ID know it’s true. 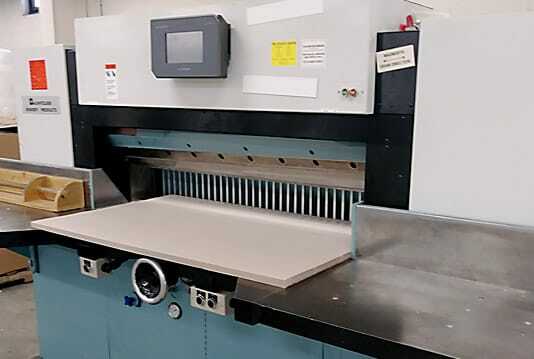 Last summer they had to replace a small size paper cutter that had to fit a constricted space. 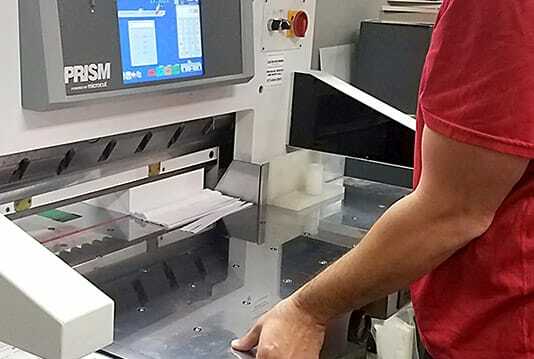 Some research and a recommendation from a local dealer led them to selecting a new PRISM® P80 with Microcut® electronics. 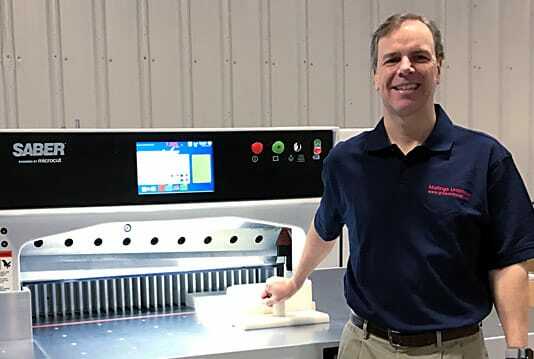 The dynamic 30-inch paper cutter from Colter & Peterson has so far delivered a boatload of positive results since being installed in early September. Visiting an automobile dealer after Labor Day is usually a good time to trade for a newer vehicle, what with next year’s models arriving and taking up space. 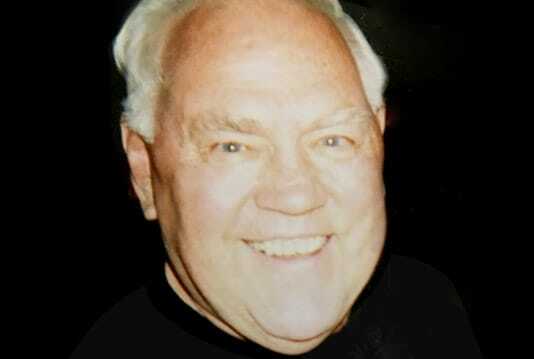 Ridgewood Press owner Bob Modelski used the same philosophy to swap paper cutters. 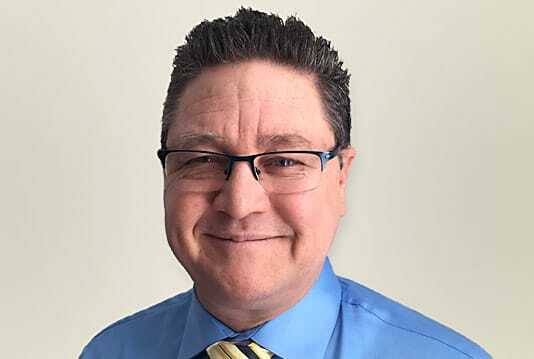 Pro Conversion has come a long way since Alain Provencal opened the Quebec business in 1995. The converting operation started with only one winder but now has three. 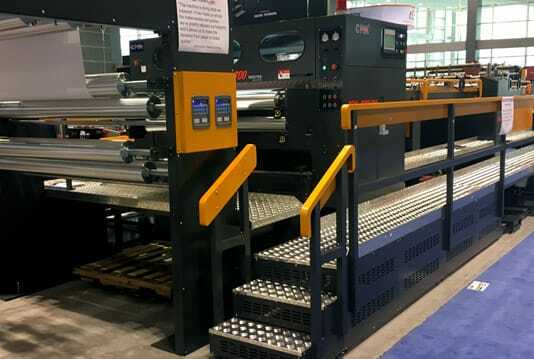 In addition to a packaging line, they expanded in 2014 by selling thermal paper rolls and have since added bond paper rolls and paper rolls for large format printing. As much as the St. Louis Arch was recognized as the “Gateway to the West” when it opened in October 1965, the digital frontier figures to be prominent in the future success of Gateway Digital Press. 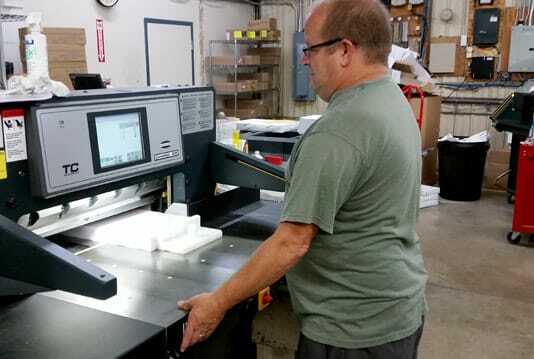 The St. Louis printer’s business is skewing more digital these days, requiring management to find the right equipment to handle greater demands. 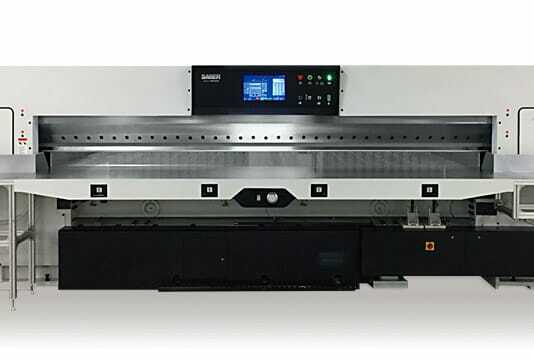 Wide format providers have discovered the versatile options Colter & Peterson offers, with paper cutters extending to the 141-inch range and having the ability to cut many different and difficult substrates. 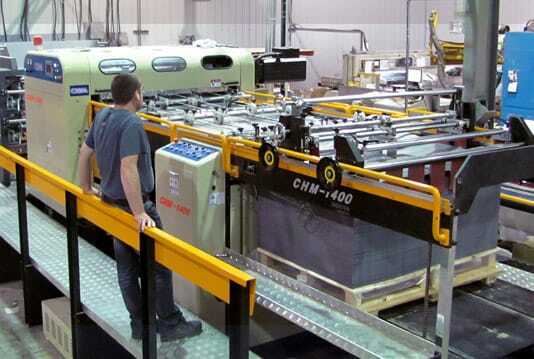 The plastics industry is experiencing tremendous growth and K&R Plastics (www.krplastic.com) in Austin, TX is part of the movement. 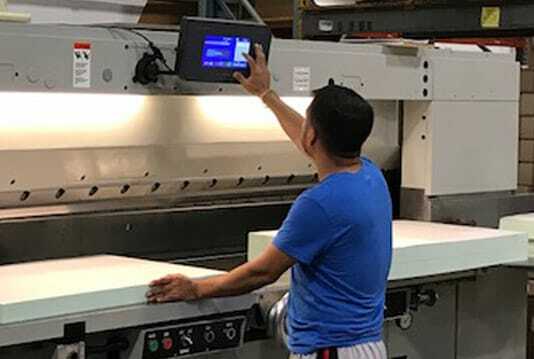 The family owned and operated firm decided to replace an older paper cutter with a machine that’s faster, more productive, offers incredibly precise accuracy and yields key data for more informed decisions. 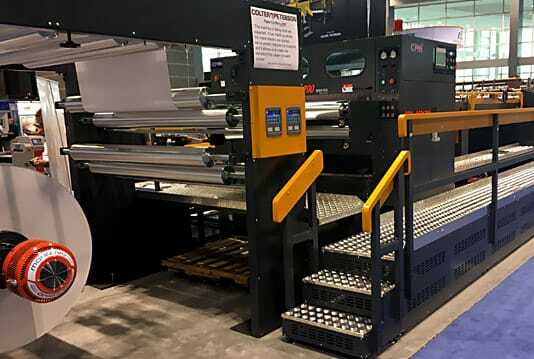 Following a trend that took root at last year’s show in Las Vegas, Colter & Peterson (booth 3150) will be giving printers and converters more of what they want at the SGIA Expo in New Orleans. 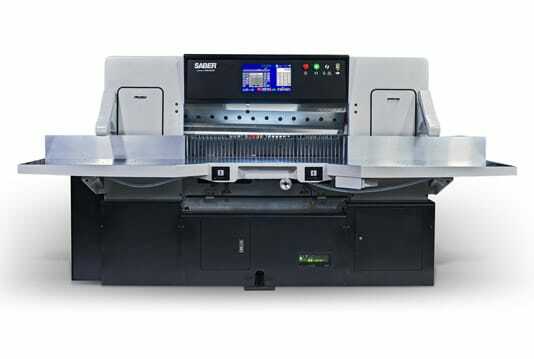 From October 10-12, show visitors can learn how the 141-inch SABER® X-15 PLUS paper cutter with Microcut® can improve productivity 50% or more in most shops, while providing a unique edge in the large and wide format arenas. In the sports world, the team that makes the better adjustments usually wins the game. It works in the business world as well. 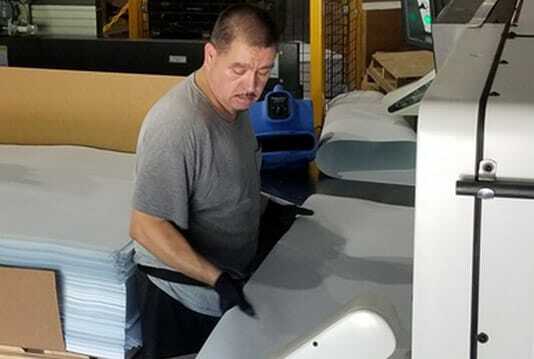 When majority owner George Scharr’s Flower City Group decided to make some internal adjustments regarding its paper resources, they turned to North America’s largest distributor of paper handling equipment. 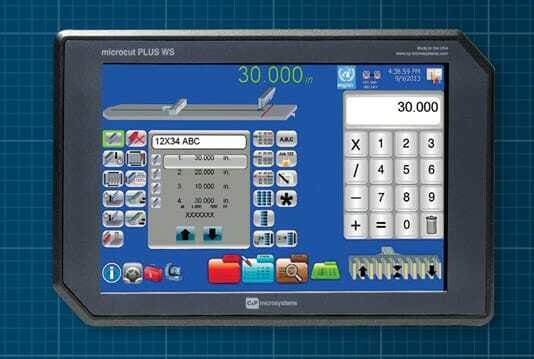 A leading manufacturer of signs, tags and labels for industrial safety identification, TEK I.D. 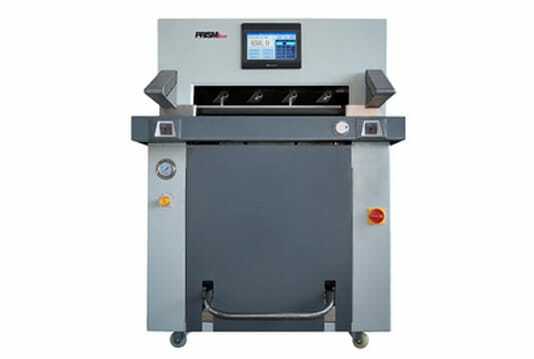 has earned the safety industry’s trust for producing reliable and long lasting products. 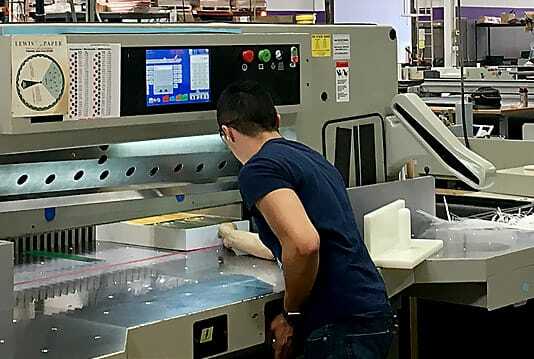 Printed on multiple material layers – but not paper – company leaders recently turned to a trusted source to rectify a situation in their finishing area.